Six titles on offer in the Wheelchair categories in the team events at the 2018 Lignano Masters Para Open on the concluding day of play, Saturday 17th March; in the women’s events, the leading outfits experienced few problems, the top seeds prevailed. Conversely in the men’s competitions there were surprises. The combination of Korea’s Seo Suyeon and Russia’s Nadejda Pushpasheva, who joined forces with Croatia’s Maija Martinovic, duly won Women’s Team Class 2-3; similarly Serbia’s Borislava Peric-Rankovic, silver medallists at the Rio 2016 Paralympic Games secured the Women’s Team Class 4-5 title. 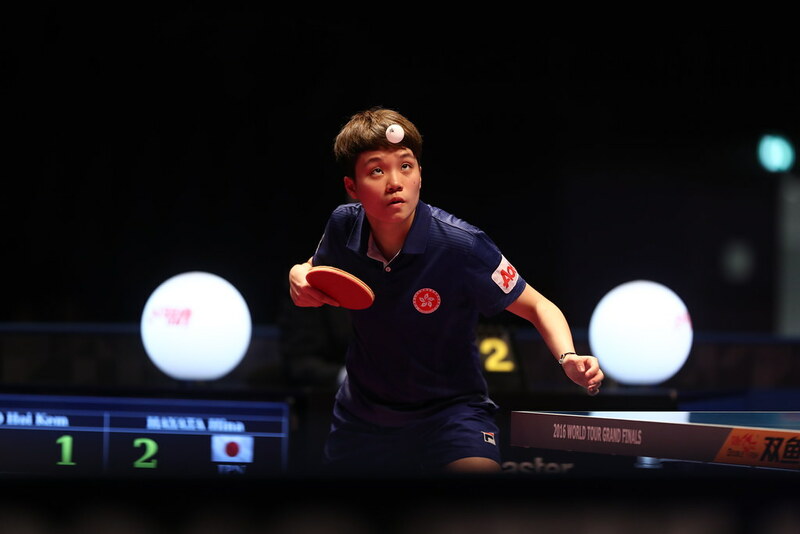 However, for their male counterparts life was very different; the partnership formed by Germany’s Valentin Baus and Korea’s Kim Junggil claimed the Class 4-5 title as expected. Each added to the success gained the previous day, when in the Men’s Singles events, Valentin Baus had won Class 5 and Kim Junggil had emerged as the Class 4 champion. Success as expected, in the other two events, there were upsets. Italy’s Andrea Borgato and Federico Falco, the no.2 seeds, emerged as the Class 1 champions. In the group stage of proceedings they beat the combination of Great Britain’s Tom Matthews and Switzerland’s Sylvio Keller by two matches to nil; later they met again, this time in the final, a much closer contest ensued, a two-one victory margin was the outcome. Notably, Tom Matthews and Sylvio Keller were in form; at the semi-final stage they had beaten the top seeded Korean outfit of Nam Kiwon, Cho Jaekwon and Lim Seeun by two matches to nil; Nam Kiwon was the bronze medallist in Men’s Singles Class 1 at the Rio 2016 Paralympic Games. Success against expectations for the host nation, it was the same in Class 2; Federico Crosara and Guiseppe Vella joined forces with Korea’s Park Jincheol to claim the title, impressively at the final hurdle they accounted for the top seeded formation of Ukraine’s Oleksandr Yesyk and Croatia’s Sergeii Poddubnyi; a two-nil margin of victory was the result. Two surprises but arguably the biggest of all came in Class 3; in the group stage Serbia’s Mladen Ciric and Sinisa Bradasevic experienced a two-one defeat when facing the second seeded French pairing of Stéphane Gil Martins and François Geuljans. In the final they met again, the Serbians totally reversed the decision to record a two-one win and thus claimed the title. Such is the nature of sport.